Potty seat is a one of the most important tools in potty training. There are only 2 things that it needs to have: comfort and be easy to clean. It does not need to make magical sounds or any other gimmicks the brands might try and push on you. Potty training is one of the biggest first milestones you and your child will experience together. Giving them the right tools will help reach that milestone easier. Potty seat is a great alternative to simple potty as it gives the freedom to go potty in any bathroom and feel like a big kid. Munchkin seat is great because it is sturdy, very easy to clean but still comfortable enough to use. Do not buy those soft seats as after a few months they become discussing and impossible to keep clean given that your child will use the potty in the initial stages every 45 minutes. Contoured to hold child securely in place. Non-skid edge ensures that seat doesn’t move. Built-in handles for added security. Feet for easy stand-up storage. 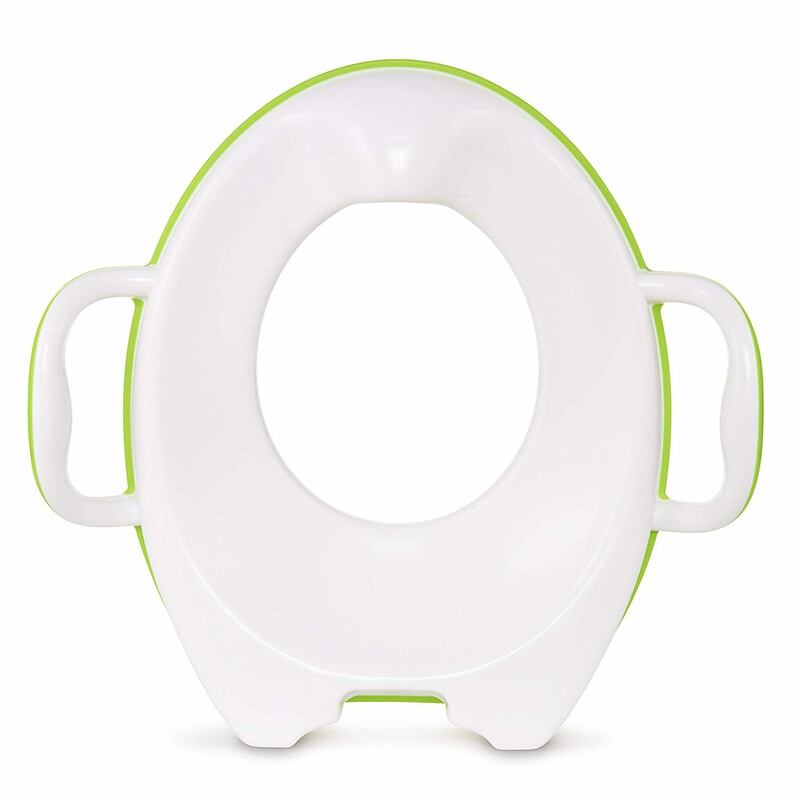 Good potty seat is a must tool for successful potty training. Great product to be used for multiple age groups. The kids are not really engaging with the potty seat. The seat is made from durable plastic and like a regular toilet seat can last for many many years. This is more of a necessity item for potty training. You can not teach your child how to potty train without giving them the necessary tools.